Ellen Mason has a fabulous design sense that always knocks my socks off. She has a knack for clever twists on classic concepts that feel both familiar and completely new at the same time. The result is wearable designs that blend seamlessly into an everyday wardrobe, but there is always a whimsical element that keeps the piece feeling fun and fresh. 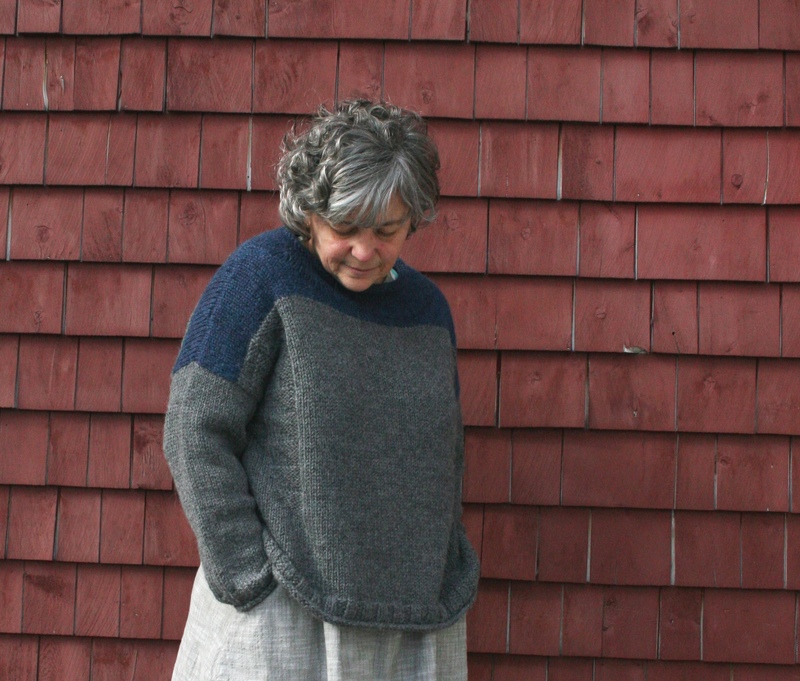 The Banner Pullover designed by Ellen* for Portfolio Volume 1 is a great example. It is the piece from the collection that I imagine I’ll get the most wear out of (when I get a chance to knit one for myself). I see myself wearing this piece over my weekend uniform of skinny jeans and a tunic. I love layering short tops over a long lean silhouette. Or maybe I will go a size up for a few additional inches of ease and add a couple of inches in length so I can wear it like a cozy sweatshirt, over anything and everything. “When I have my own I will wear it with a long similarly colored shirt and skinny jeans, or with a print dress and a great belt buckle. The silhouette is short + boxy, a shape I enjoy styling. 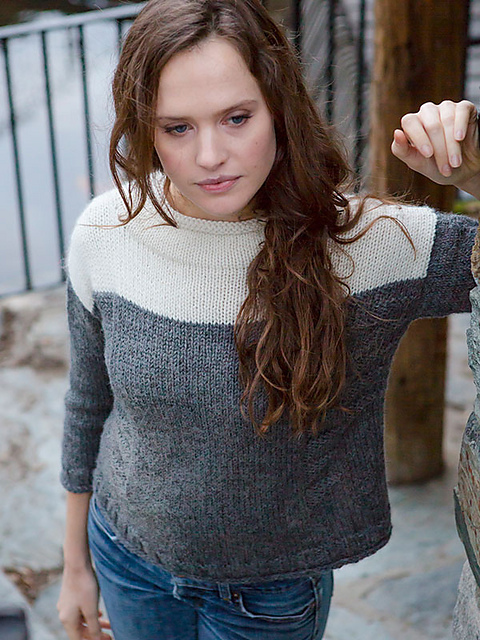 I am really intrigued by this single color version of the Banner Pullover knit by the Raveler Violaclaire. If I were to go this route I think I’d choose the shade Light Grey. What color or color combinations would you choose? 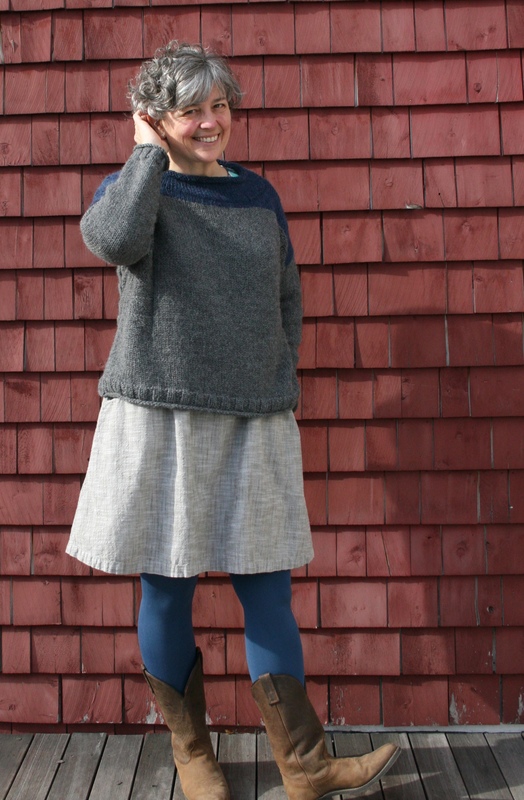 *Fun fact: Ellen Mason was the inspiration and namesake of the free pattern Ellen Cardigan from Knitbits. 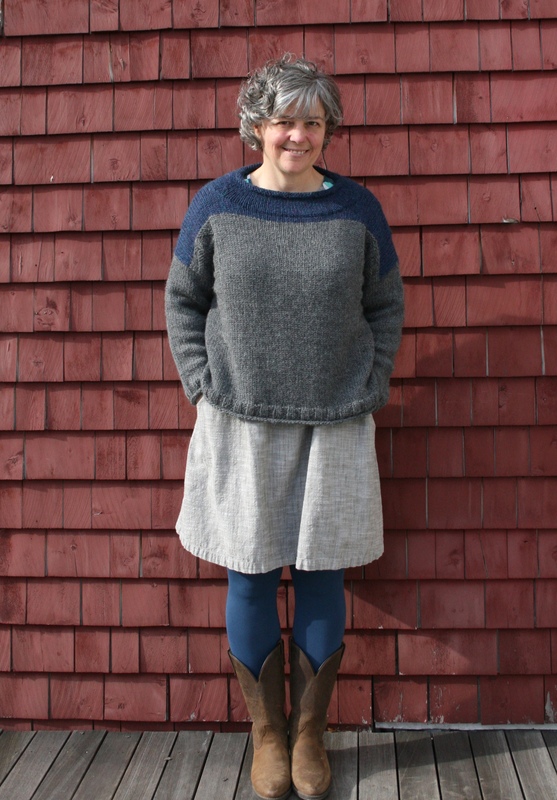 Since I am all thumbs when it comes to knitting I appreciate Ellen’s design and color sense. I like how this post educates those of us unfamiliar with knitwear but love everything about it. Very helpful. Beautiful sweater, Love the blue and white.